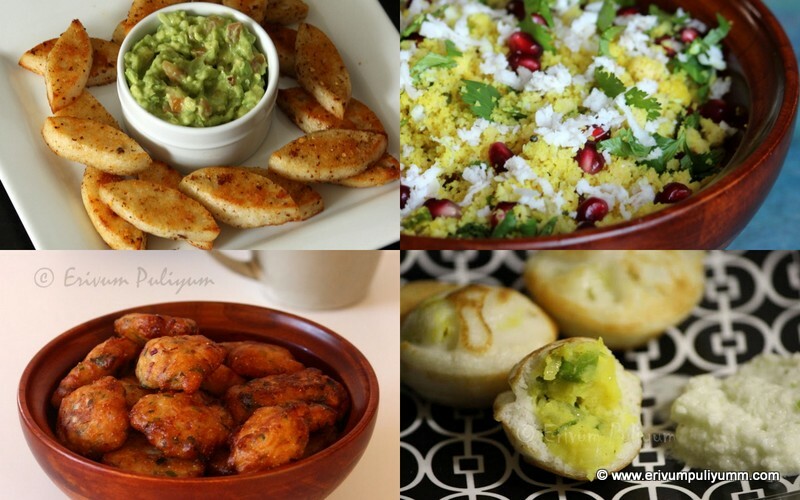 Sometimes I feel bored of the elaborate cooking the whole day,Do you feel the same?? And then kids don't let us sit in one place,they always need something to munch and this happens to be the easiest snack which can be prepared and stored in air tight containers.Kids will definitely love this crunchy brittles.This can be prepared in less than 15 minutes and moms are happy too that they can prepare something for kids,not only kids adults can munch too.This is similar to peanut chikki (kappalandi mittai).Give this a try !! Grease a square tray preferably 8* 8 pan with butter. Roast the sesame seeds and almond slightly on a non stick pan for 2 minutes.Put off flame and keep aside in a plate(the residual heat may turn it brown so remove from pan immediately). Heat the butter and let it melt.Add the sugar and salt,wait till the sugar starts to melt and start getting browned.Keep stirring. It may take 4-5 minutes to get golden brown in color,put off flame.Remove from heat and add the almond slices and sesame seeds.Give a quick stir and transfer to the greased plate. Flatten it with the back of spoon or spread evenly.Wait to cool about 10 minutes(to come to room temperature) and break in pieces,Enjoy !!!! * Please be very fast to remove the sugar from heat once it golden brown,otherwise it may get burnt. * Also,be quick to stir the almond slices and transferring to the tray. * Any left overs can be stored in air tight containers for days. Wow such an easy recipe and looks yum and so crispy!! 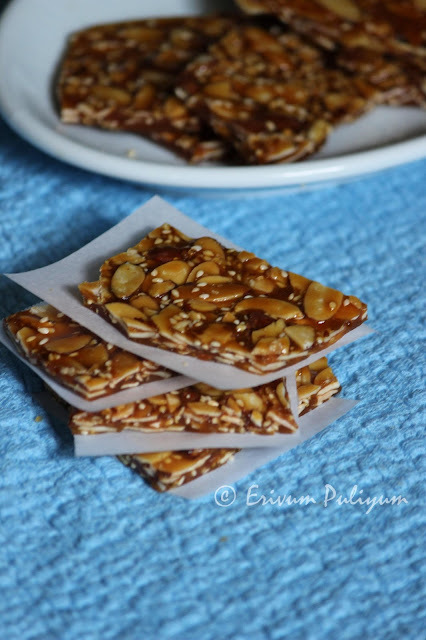 The almond brittle looks yum Julie. I have tried it with only peanuts. I love brittals. this is nice way to give kids almonds. surely making this. chikki looks yum and perfect, my mom's all time favorite. She buys chikki in all forms, when we travel via train, you know vendors sell in train!! I remember the famous kovilpatti chikki, very tasty!! 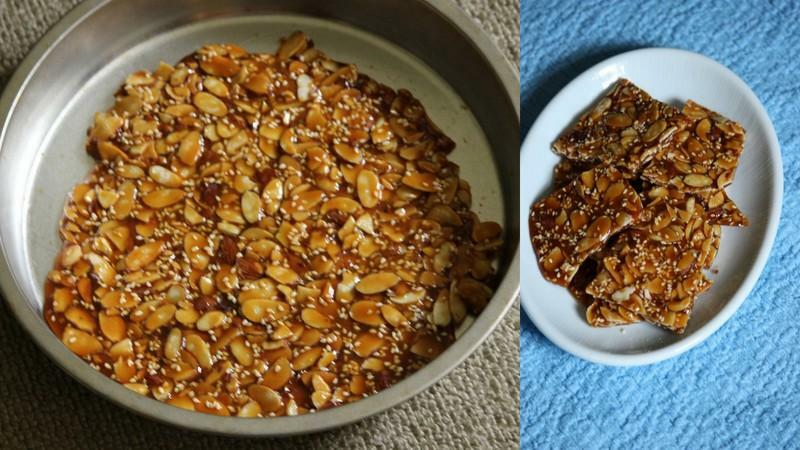 Wow, very nicely done Julie, I have to try this almond, sesame combo..
love this chikkis, my childhood fav snack :) liked the almond chikkis, very healthy for kids...u have made it so perfectly..inviting pics dear! I love chillies , this one looks beautiful and tasty. Will try it ! Can't stop once you start eating..
Omg, cant take my eyes from those attractive brittles,stunning and seriously irresistible. Delicious chikki Julie, Kanditu kothi varunnu. I love chikki! Have you tried it using coconut? That's really good too. We use gour in our house when we make it. Julie they seem to have come out so well; you make it look so easy. Perfect chikkis..Evokes lots of memories..Nice clicks as well Julie..
love to munch it anytime..
Wow..this looks so yummy julie..want to eat one piece now. 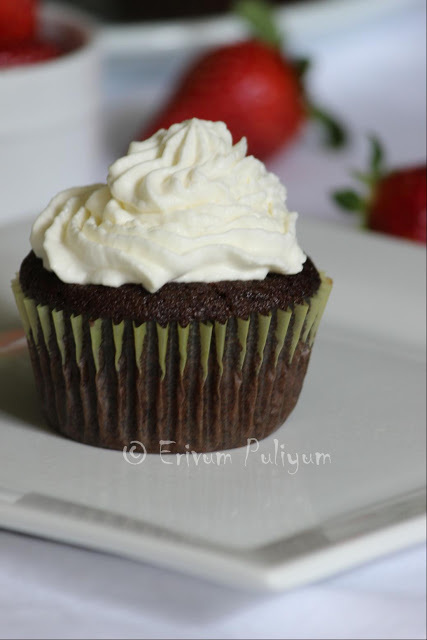 Feel like grabbing them, so simple & delicious! Hi julie, I tried this recipe. thetaste isawesome. buti couldnotbreak it. it was stciky. can yu guess wht could have gone wrong. help me. 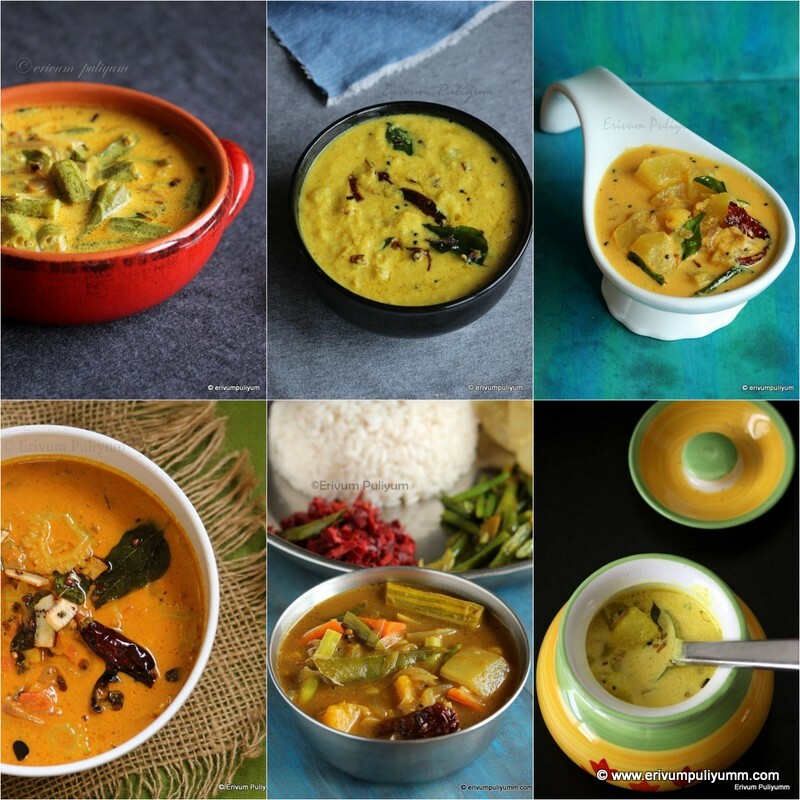 Upperi | Kerala Plantain Chips & Happy Vishu ! !